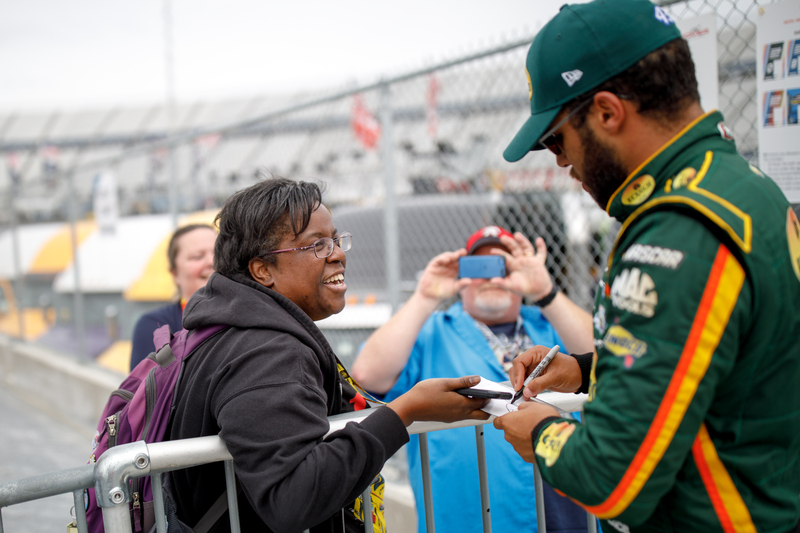 Is Bubba Wallace a sign of success or struggle in NASCAR’S Drive for Diversity? The Coca Cola 600, one of the top races in NASCAR’s season, will set a record even before the event begins Sunday evening at Charlotte Motor Speedway. For the first time, the Memorial Day race will feature three alumni of NASCAR’s years-long effort to diversify the sport. But NASCAR’s Drive for Diversity program has been around for 14 years. So it seems fair to ask: Is this weekend’s roster evidence of success? Or does it show how much the sport still struggles to integrate its ranks? The Undefeated compiled a list of all 62 drivers who participated in the program from its inception in 2004 through 2018. In that time, only Wallace, Larson and Suarez secured a full-time spot in the top series. Just 10 drivers have raced at least once on one of NASCAR’s three highest levels. A little more than a third of the drivers admitted to the training program have been white women. While NASCAR does not identify participants by race or ethnicity, at least 18 Hispanics and at least 13 African-Americans have gone through the program. 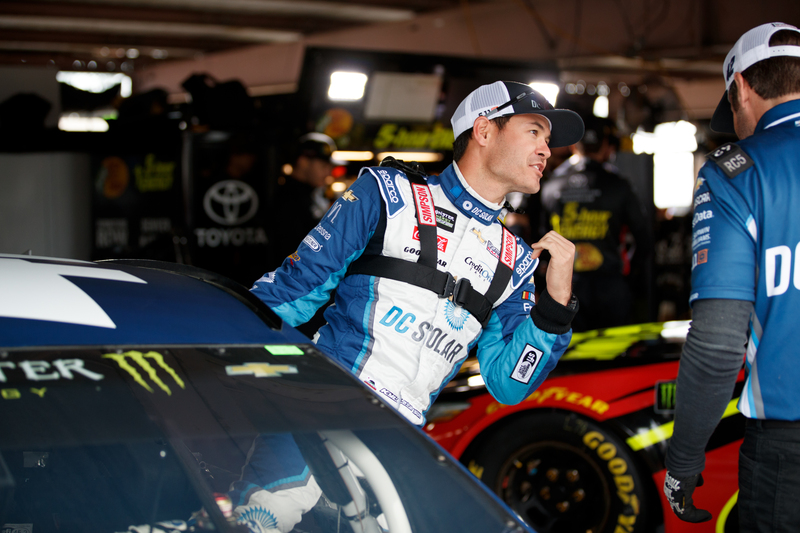 More than 60 drivers have gone through the development program since 2004, but only 10 have raced at least once on one of NASCAR’s three highest levels. Sources: Racing Reference, NASCAR, Rev Racing, personal websites and Facebook pages. Some drivers remain close to the sport by working as mechanics for racing teams or spending weekends dirt-track racing with borrowed equipment. But others have distanced themselves from the sport altogether. The evidence: websites that have been abandoned for years, many leaving one last plea for sponsorship to help get them back on someone’s track. Some graduates of the Drive for Diversity program said they faced several obstacles, including their equipment, a lack of transitional support for drivers who complete the program and want to catch on with a team, and difficulties in finding sponsorships. Putting a car on a track at any level can be jaw-droppingly expensive. Racing teams don’t usually disclose their expenses, but a full season in the Automobile Racing Club of America (ARCA) series can run around $1 million, according to one driver. Moving to NASCAR’s Camping World Truck Series may cost around $3 million. The Xfinity Series, a tier lower than the Monster Energy Cup Series, can cost $6 million for the season. With better equipment, the price bumps up anywhere from $15 million to $20 million. For the Cup series, a solid team and top-of-the-line equipment can come with a $30 million price for a full season. Here’s a look at the gender, race and ethnicity of drivers participating in NASCAR’s minority development program. All the drivers in NASCAR’s program compete for Rev Racing, a team owned by longtime sports executive Max Siegel and based in Concord, North Carolina. Where many graduates of the program suffer is when the program ends. Assuming they’re ready to graduate into a ride outside the development program, there is no pipeline to another team or to sponsors. It’s up to the drivers to find teams, rides, sponsors to survive in the multimillion-dollar sport on the lowest level, if they’re lucky. Driver Dylan Smith, who was in the 2015 class, is occasionally racing on dirt tracks now. He has struggled to keep up with the cost of racing without sponsors. When he does scrape up enough money to get back to a track, Smith is responsible for his own equipment and fixing his own car. A first-generation Haitian-American who began his racing career in Vermont, Smith was admitted into the Drive for Diversity program after seven years of trying. He appreciated the opportunity, but says the program labors under constraints that make it difficult to succeed. “The race team doesn’t have the equipment that everyone else has,” said Smith, who worked as a mechanic at Rev Racing for two years. “They don’t have as good of equipment as what they’re racing against. So [drivers] go into it with one hand tied behind the back. “The team itself doesn’t have enough people to do what they’re trying to do at the highest level compared to compared to who they’re racing against,” he said. During his time in the program, Smith said, only two crew members worked full time on each car, which cuts into preparation and may affect race results. Larger teams racing every weekend have at least five crew members assigned full time to one car. Not all drivers are equally talented, Siegel notes, and Smith agrees that their success can depend on how badly they want to race in the first place. “There’s only a couple of us that have been through that program that are still working in the sport,” Smith said. “Now, that also is a testament to how much you really care about just being a driver and how much you cared about wanting to be a part of the sport. Not everybody wants to be a part of the sport. Some people just want to be a driver in the sport. If they can’t do that, then they’re not going to stick around. Whereas for me, this is all I wanted to be a part of my entire life. Ryan Gifford, who participated in the program from 2010 to 2014, was happy with his experience, but wasn’t able to make the transition from regional races to a national series. Gifford, 29, raced go-karts from ages 8 to 15 before transitioning to late-model cars. He was admitted to the Drive for Diversity program on his first try. The program started off promising, with fast cars and opportunities to win, but the hardest part remained trying to find money. If Gifford had one critique of his experience, it was the general lack of support for drivers trying to move from the lower level to a national series. Siegel largely agrees: “Being a race car driver in NASCAR is very, very difficult,” he said. “Selling sponsorship is close to impossible. So, the problem with the industry in general and not just our young minority drivers and women is that people aren’t spending money. Max Siegel, CEO of Rev Racing and former president of global operations at Dale Earnhardt Inc., at the Rev Racing headquarters in Concord, North Carolina. NASCAR’s efforts to diversify the ranks of its drivers began nearly two decades ago. In 2002, African-Americans and Hispanics over the age of 18 each accounted for between 8 and 9 percent of NASCAR’s fan base. During that time, only one African-American driver, Bill Lester, raced a full-time schedule in the NASCAR Truck Series — the lowest of NASCAR’s top three series. NASCAR sought change to bring a more diverse group of drivers and fans to the predominantly white and male sport. Two years later, NASCAR chief executive officer Brian France established a developmental program for minority and women drivers. A marketing and communications firm was hired to operate the program and run a combine for drivers to showcase their abilities for team owners. Drive for Diversity’s inaugural class featured four African-American men and a white woman. But problems began to surface almost immediately. Teams working with new drivers were scattered across the country, so some drivers had to travel longer distances to race. NASCAR provided financial assistance to teams, but it was less – a lot less according to some reports – than was needed to be competitive. Some places weren’t well organized. In one instance, a participating team’s crew chief quit just before the season started, leaving the team and drivers to find replacements. After four years, NASCAR brought in Siegel, the former president of Dale Earnhardt Inc., to run the program. Siegel is an attorney and businessman who has been involved in the sports and entertainment industries for decades. 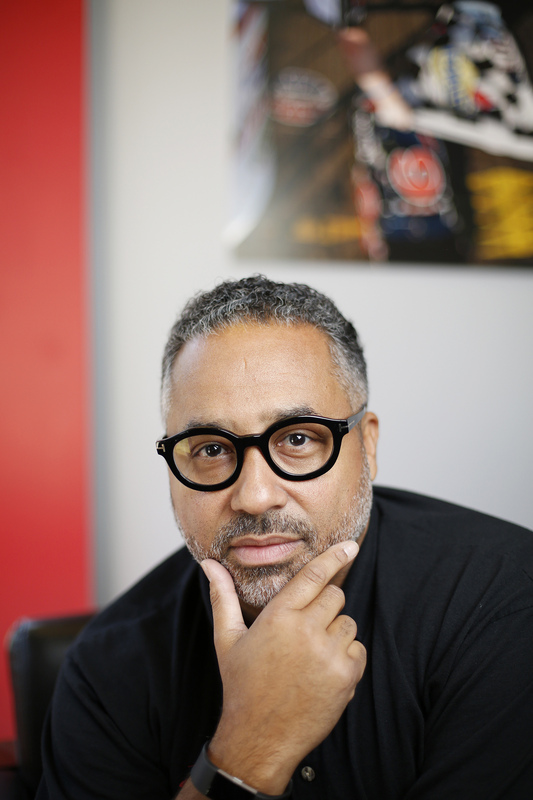 Before becoming the first African-American executive in NASCAR, Siegel was a senior vice president at both Sony and BMG before becoming CEO of USA Track & Field. Siegel’s attention is now focused on Rev Racing, which operates four teams in NASCAR’s K&N Pro Series East, and two in the Whelen All-American Series. Growing up in Indianapolis, Siegel always had an interest in NASCAR, but his desire to be involved in the sport grew in the early 2000s. His friend, NFL Hall of Famer Reggie White had retired to Charlotte, North Carolina, and the two were friendly with former Washington Redskins head coach Joe Gibbs, who established Joe Gibbs Racing in 1991. Together, White and Siegel searched for ways to create opportunities for minorities and women in racing. At one point, Siegel, White, former NFL player Ronnie Lott, and former San Francisco 49ers owner Eddie DeBartolo Jr., were thinking of purchasing a ride in the then-Sprint Cup Series. “We did this with the intention of being the first majority minority-owned race team,” Siegel said. The four were in discussions with senior management from Hendrick Motorsports, but tragedy intervened. In October 2004, a Hendrick Motorsports plane crashed on its way to a NASCAR race, killing eight passengers, including members of the management team, and two pilots. Two months later, White died at age 43 due to complications from a respiratory disease. Shortly afterward, France, vice chairman Mike Helton and chief operating officer Steve Phelps asked Siegel if he would take a look at the program and recommend ways that they could achieve their mission of driver and pit crew diversity. “I went to NASCAR and suggested that we come up with the current structure, which is a race team and an academy-style training and putting everything under one roof,” Siegel said. He left Dale Earnhardt Inc. in 2009 to found Rev Racing and focus on the Drive for Diversity program. Rev Racing debuted in the NASCAR K&N Pro Series the following year. Before Rev Racing took over the program in 2009, drivers were accepted well into their 30s. Now, applicants must be between the ages of 15 and 26. People may apply as many times as they want. But even those who were admitted in a previous year don’t have a guaranteed spot in the next year’s class. It’s exactly what the program did with the program’s big three: Larson, Suarez and Wallace. But their success didn’t come overnight. Once the program ended, Larson began racing in the Camping World Truck Series before moving into the Xfinity Series as a part-time driver in 2012, where he amassed 72 top 10 finishes and nine wins. By the time he was 21, Larson had worked his way up to the Monster Energy Cup Series, where he has raced full time for the last five years. He’s currently ranked 11th with four finishes in the Top 5. Suarez took a different route to NASCAR’s top series. 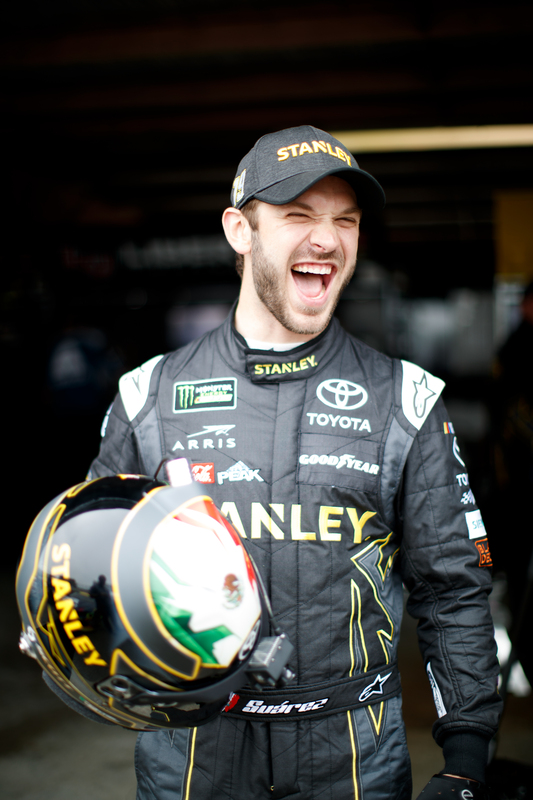 The 26-year-old began racing go-karts with his father in his native Mexico and eventually began racing in the NASCAR Peak Mexico Series. When he was 19, his father pushed him to reach higher and he moved to North Carolina alone and knowing little English. In 2013, he was admitted into the Drive for Diversity program. Suarez spent two years in the program before racing in both the K&N East and West Series. Similar to Larson, Suarez began racing in the Camping World Truck Series before moving to the Xfinity Series. Last season, Suarez raced his first full-time schedule in the Monster Energy Cup Series. He’s ranked 21st at the moment, with one Top 5 finish this season. Just like his fellow teammates, Wallace found a home in the program in 2010-11 and proceeded to climb the ranks. Wallace made a big impression in the Camping World Truck Series and made history in 2013 as the first African-American to win a national series race since 1963. He continued to be successful in the Xfinity Series with 35 top 10 finishes, but was forced to cut his last season short due to lack of sponsorship. 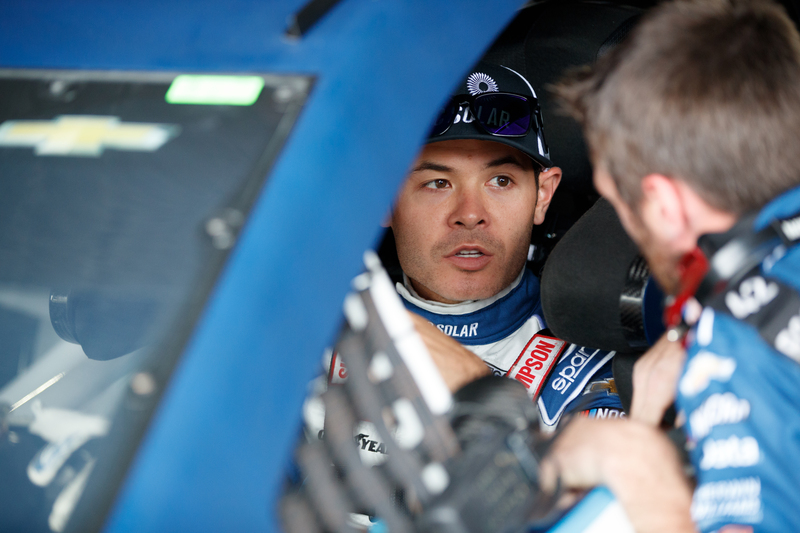 He was sidelined until being called on by racing legend Richard Petty to substitute for injured racer Aric Almirola. Wallace performed well, and Petty brought him on board as a full-time driver this season. 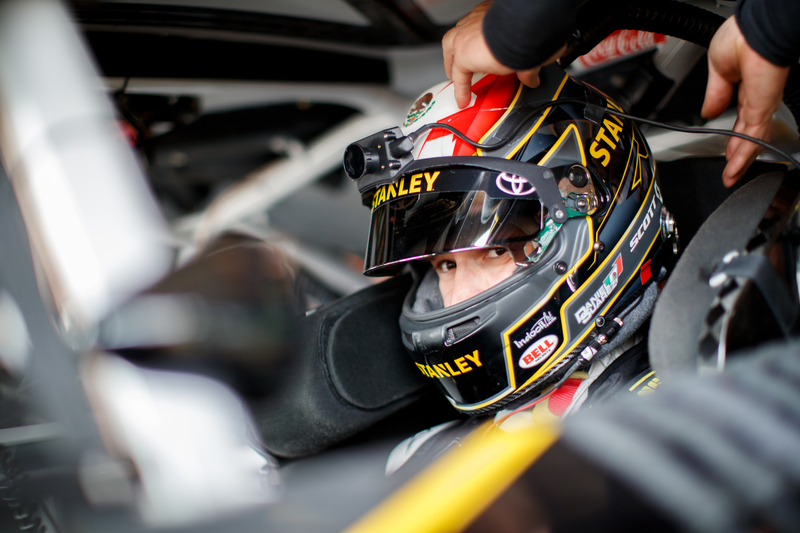 He impressed everyone with his second-place finish at Daytona in February, and currently sits at No. 22 in the Cup series driver standings. Siegel believes that investing in young drivers is key to getting more minorities and women into the top series. “I’m interested in getting more young people, and I mean younger people all the way down to elementary, middle school that are really aware of the sport and interested and whether they are participating online or on the track,” Siegel said. “That will grow the pipeline, that’ll grow the number of people that may be interested in becoming crew members or drivers.